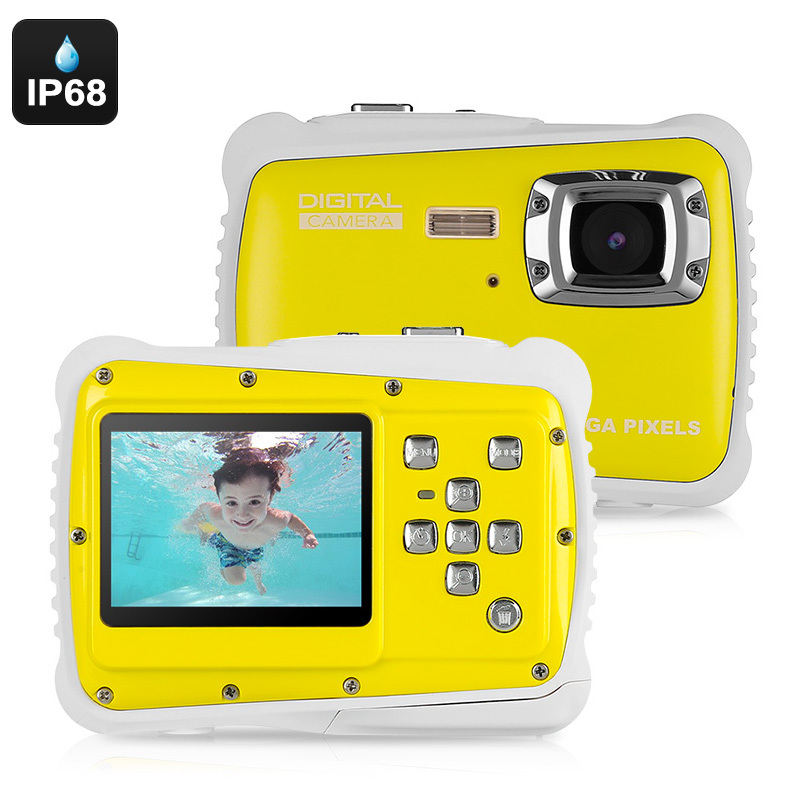 Successfully Added Powpro Kfun PP-J52 Underwater Camera - IP68 Waterproof, 2x AAA Battery, 2-Inch Screen, HD Video, 5MP Picture, 32GB SD Card to your Shopping Cart. The Powpro Kfun PP-J52 is a great underwater action camera for kids. This fun little gadget allows your son or daughter to shoot beautiful pictures during their next pool or beach adventures. The action camera is waterproof up to depths of 3 meters. It is powered by two AAA batteries that bring along enough juice to get through a days’ worth of outdoor fun. On its 2-Inch display, this underwater camera lets your kids instantly watch back their previously snapped pictures and video. Thanks to its durable design, this underwater action camera is fully capable of withstanding the active lifestyle of your child. It comes with a high-end sensor that produces beautiful 5MP pictures and 720p HD video. This allows your kid to snap their own stunning holiday photo’s during your upcoming road trips abroad. The camera adjusts itself automatically based on the environment. Thanks to this, it will always produce great photographs no matter where you’re at. This waterproof camera for kids features a 65-degree angle lens. It furthermore supports 4x digital zoom and comes with a built-in microphone and speakers. By sliding in a 32GB micro SD card, this digital camera offers plenty of space to store photos and video. With this camera at their side, your kids will always be able to snap their own pictures while enjoying a fun day out. The Powpro Kfun PP-J52 underwater camera comes with a 12 months warranty, brought to you by the leader in electronic devices as well as wholesale action cameras..